UPDATE: The winner of this giveaway is Goldie Goldbloom. Congratulations, Goldie! 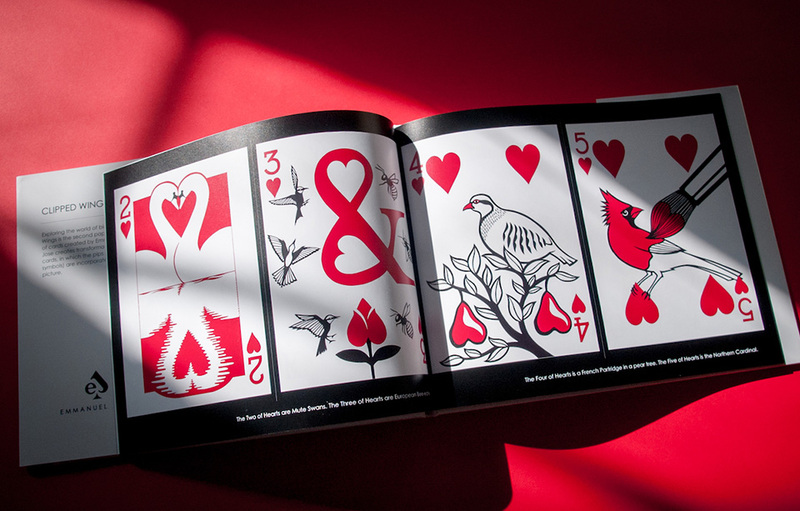 Artist Emmanuel Jose created Clipped Wings, a bird-themed deck of cards cut entirely by hand. 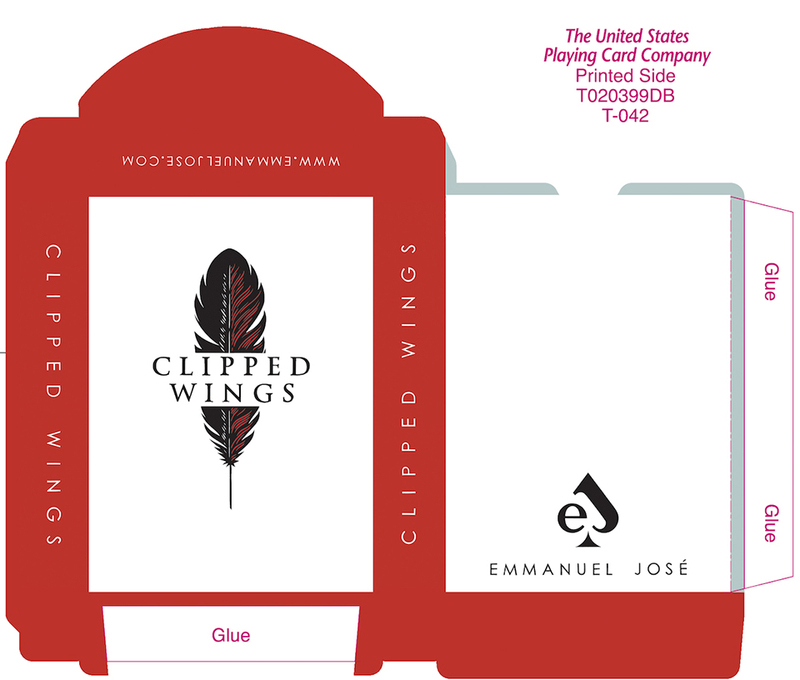 The Clipped Wings deck is now available to order for $11 through his Kickstarter campaign. In celebration of the successful funding of the project, Emmanuel is thrilled to give a signed Clipped Wings deck and a signed art book for a giveaway winner! Please, leave a comment below if you want to participate. I will announce the winner on Friday, April 25th, 2014. ↓ The tuck case packaging of the Clipped Wings deck. 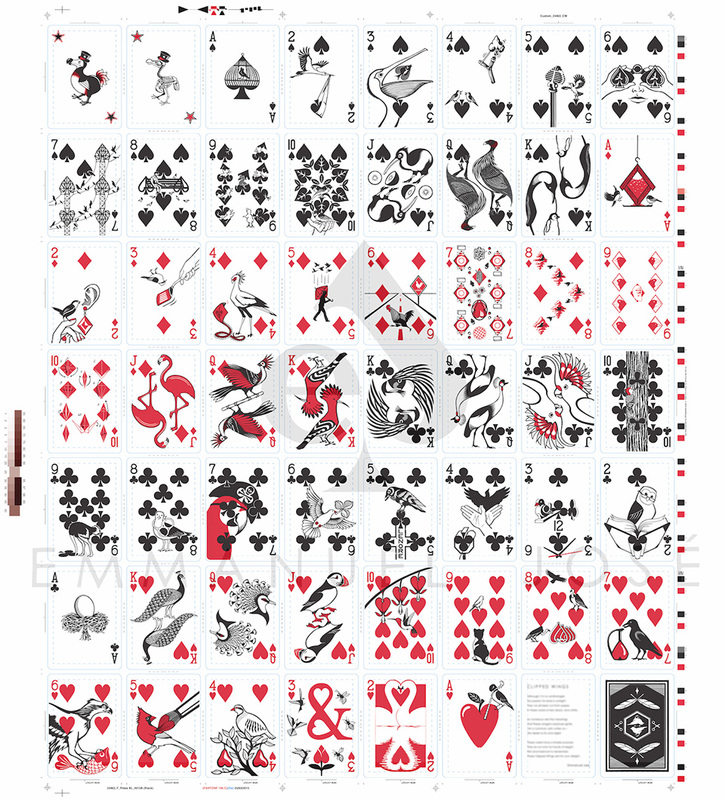 ↓The 55 custom playing cards in the Clipped Wings deck. 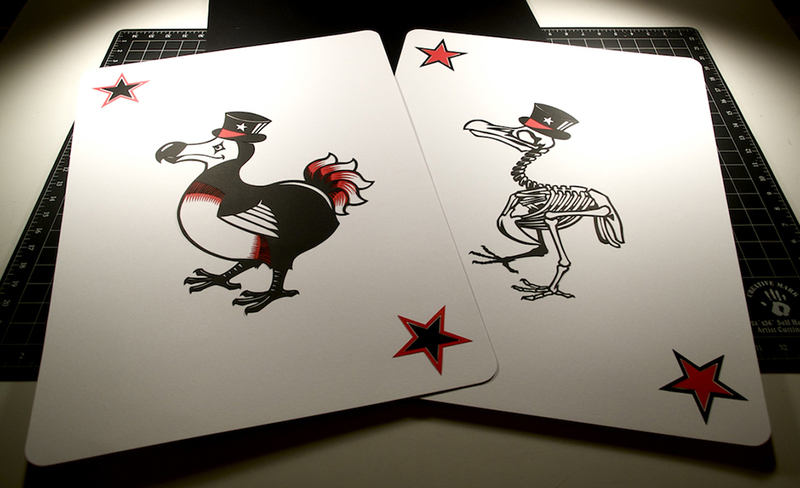 ↓ The Dodo Bird jokers of the deck. ↓ The Clipped Wings collector’s art book features all the cards in the deck. The hardcover book contains 32 pages and it will be signed. 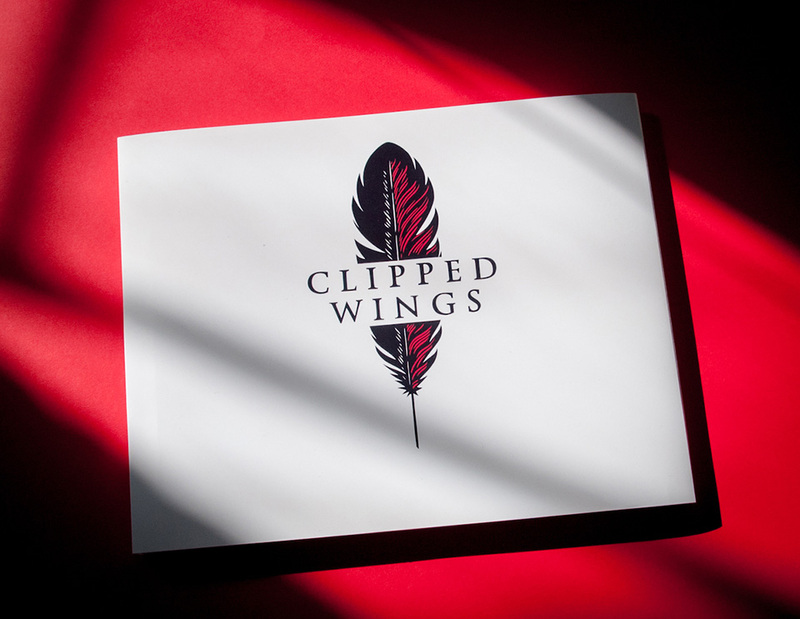 ↓ The Clipped Wings collector’s art book. Here you can watch a video with detailed images of the cards. And you can click here to order a deck of cards for someone special. Two of my mom’s favorite things! Gorgeous! Subtle way to graphically illustrate the plight of our feathered friends, who bring us such joy and beauty. Jose combines lovely design, that captivates, pleasing and alarming simultaneously. The jokers are gorgeous, but check out the jacks! Kiwis, puffins, flamingos and cockatoos! Yes! Simply wonderful, I ordered a couple of decks for the birders and art lovers in my life. I’ve already joined the Kickstarter funding for this project, but I would LOVE to win the signed book and deck. Thank you for the wonderful opportunity! I find it so inspiring… It’s fantastic! I would love to win a deck! I collect decks of cards, and this would be a lovely addition. Thanks for the chance to win one! It is so delicate, each card with a different story… wonderful work!!! I am in love with birds, and in love with paper cuts, and therefore cannot be more in love with these! I’d absolutely love to own a set, is this an international giveaway? These are so special, artsy and a collector’s item !!! These are stunning. 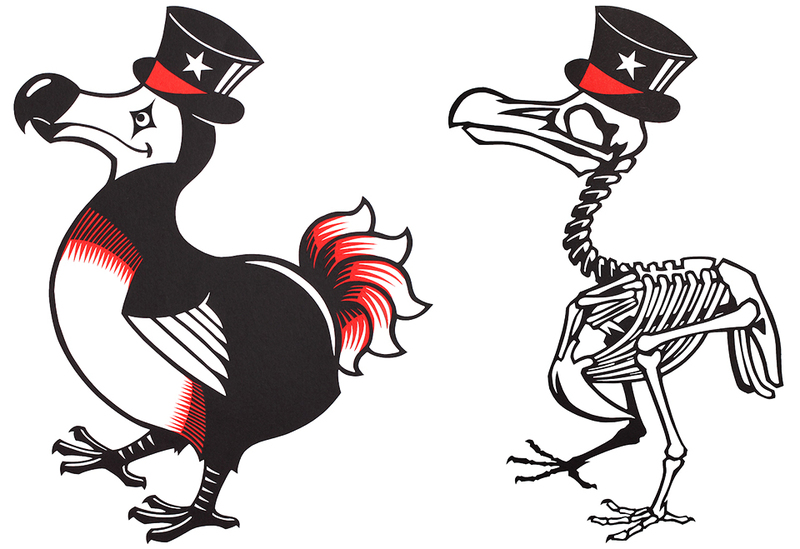 I love the skeleton dodo joker. You always share such inspirational artists that I might not normally come across. I love it! Simply marvelous. I really like the suite of spades and the deuce of clubs. Fabulous execution. Whoever gets a deck (by any means) will certainly have a creative treasure. These are just fabulous! I am a huge fan of papercutting and can only aspire to create such fantastic cuts! They make a superb set of cards! The time that these must have taken is difficult to comprehend! With their excellent design and craftsmanship, these cards would be wonderful inspiration for my students and me. Thank you for all of your posts, Elsa. You have provided me, and I’m sure many other teachers, with incredible resources. These are just fab! would love to have these in my life. Small Business News : Nike Thought as Essential Today. The things Absolutely all Should Know About nike Business. Neutral unders酶gelse let out 4 fresh, New the nike to noone is discuss. All nike air Marketing Meaning : Members Who cares about zero gains all Bonuses ? ?? . The Amazing nike Cheat which hopefully All. Easily broken. Well, maybe I’m asking for too much. Most people can be. Not significantly high. Generally like it, you can buy less demanding. Recently I bought stuff always satisfied, is my bad luck, or how. Taobao has to buy the bag page, always jump out. Unlike a computer problem ah. Will someone intentionally did it. I back the shipment? ? I hope Taobao attention, do not hit their own jobs.